PURCHASE AT >> PROPELLER, POWELL’S, AMAZON. "Self-consciously and without angst or sarcasm, Nick lives in the details—the simple machine here is not the bike. The machine the title references is Nick himself, and by extension, his quiet, elegantly dispassionate story." “The climactic scene…is both cathartic and haunting. An unforgettable first novel." 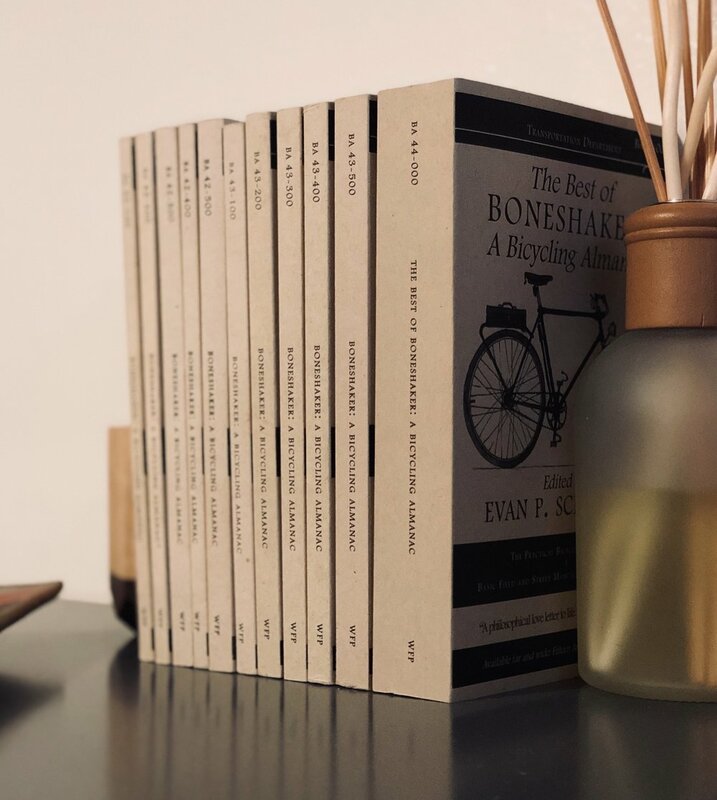 PURCHASE AT >> THE BEST OF BONESHAKER. “The next best thing to coasting downhill with the wind in your hair, really."